The beat ’em up Kung Fury: Street Rage is now available for the PS Vita in Europe (except Germany) and later today in North America as a digital download title on the PlayStation Store. 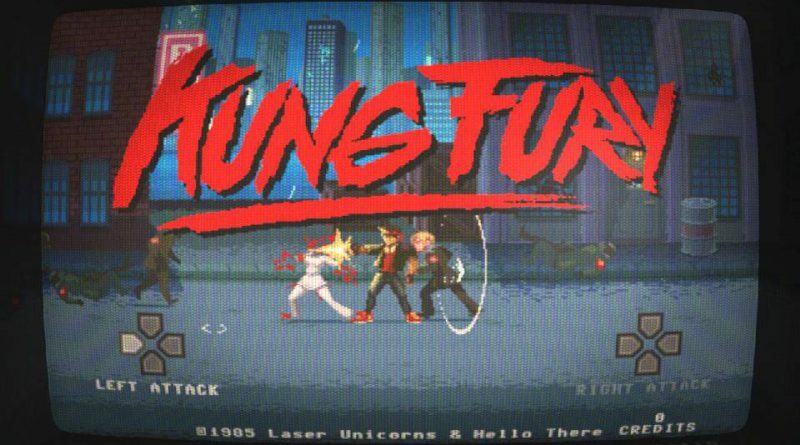 Immerse yourself like never before as Kung Fury and his allies are thrown into an adventure packed with stereo music and state of the art true color graphics. Combine the unique combat styles of Barbarianna, Hackerman, Triceracop, and of course Kung Fury himself. Join the chosen one and his team through voice-acted dialogues in the arcade beat ’em up fight of the century.